Mr. Adebayo Mashood, Ibiyeye was born on the 4th April, 1962. He attended St Marks Primary School, OFFA, St John’s (RIMI) College, Kaduna. He proceeded to School of Basic Studies, Ahmadu Bello University for A Level Certificate in 1978. 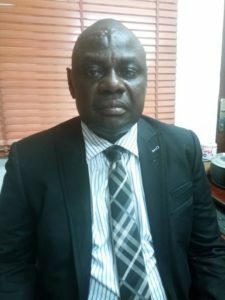 He obtained B.Sc (Hons) Chemistry from Ahmadu Bello University, Zaria and Post Graduate Diploma in Education (PGDE) from Lagos State University, Ojo. Adebayo Ibiyeye has been involved in teaching of Science subjects including Mathematics in secondary Schools and also attended several Professional Courses, Seminars and Workshops organized by various Organizations/Associations such as Science Teachers Association of Nigeria (STAN), Chemical Society of Nigeria (CSN), National Associations of Teachers of Technology (NATT), Nigerian Educational Research and Development Council (NERDC), National Office for Technology Acquisition and Promotion (NOTAP), Creative Consulting, SEDE maths laboratory, African Centre for Education and Development, PSSDC, British Council, ESSPIN, etc. He led Lagos State to achieve the following successes both at National and International levels. Viz. • 1st position in project exhibition at 1998 Nigeria Science Engineering and Technology (SET) Summit. • 1st position at 1999 National JET competition at Abuja. • 1st position at 2000 National JETS Competition at Enugu. • Won excellence/innovation Award at 2000 Worldwide Young Researchers for the Environment (WYRE) Fair in Germany. • Won International Mention Award at 2001 International Physics competition. In Poland. • Won Silver medal at the 2004 Eskom Expo for Young Scientists in South Africa. • Best performances in 2009, 2010, 2011/2012 National JETS Competitions. • 1st position at 2004 NNPC National Science Quiz Competition. • 1st position in 2007 National Physics Competition held in Lagos. • 1st position in Free Choice Project at National finals of STAN Competition. • 1st position at the 2008 NNPC National Science Quiz Competition. • 1st position at 2008 National Innovations and Invention Competition by NOTAP (Federal Ministry of Science and Technology). • Overall best State at the 2008 National Young Science and Technology Fair held at Ibadan, Oyo State. • Gold medal at 2008 International Science fair in Brazil. • Lagos State represented Nigeria at 2013 Taiwan International Science fair in Taiwan and excelled at the Chemistry Project Exhibition. Adebayo, Ibiyeye has also won the following awards for his excellence performance in Science and Technology related functions. • Best Coordinator’s award by organizers at Nigerian (International) Junior Science Olympiad in 2008. • Best Management State award in the Ministry of Education in May, 2009. • Best Senior Officer Award in the entire Ministry of Education at the 2010 Lagos State Education Merit Award. It offers courses in the cities pay for unique papers of albacete, ciudad real, cuenca, toledo, almad n and talavera de la reina.